A very warm welcome awaits you at our dental clinic in Richmond, BC where our friendly, family oriented dental team will provide you with exceptional dental care. Our experienced team can treat all ages, using the most advanced and up-to-date treatments. Whether you just require a check-up and hygiene appointment or wish to transform your smile, we are here to assist you. We offer all the general dental care services you will need to gain and maintain a healthy mouth. Our clinic provides a comprehensive choice of cosmetic dental treatments to help you safely and comfortably achieve the smile of your dreams. We also have a range of more complex treatments including endodontics (root canal therapy) and dental implants. We know it isn’t always easy to find the time to visit the dentist which is why we offer evening and weekend appointments. Our clinic is conveniently located on the south entrance of Lansdowne Mall in Richmond so there is plenty of parking nearby. Canada Line’s Lansdowne station is just a couple of minute’s walk away. A crystal clean smile positively transforms your appearance, confidence and health. Our Dental & Implant Clinic at Lansdowne Mall in Richmond, BC takes the most up to date approach to dental care. We strive to exceed your and your family’s expectations. We provide dental care to people of all ages – from children to adults. Our diverse dentists and dental hygienists offer a variety of services from dazzling teeth cleaning work to specialized smile transforming cosmetic dentistry, emergency tooth extractions, veneers and dental implants. For a list of all the services we provide please browse through our website or simply call us to gather more details. Contact us today to schedule an appointment. We offer evening and weekend hours for our clinic located in Richmond, BC, on the South Entrance of Lansdowne Mall. We designed our brand new dental clinic to make your experience as pleasant as possible. Our treatment rooms carry world-class dental technology to make your treatment comfortable, soothing and long-lasting. We are located in Lansdowne Mall in Richmond, conveniently just a 2 minute walk from major public transit stations including the Canada Line’s Lansdowne station. For more pictures of our clinic, visit the Office Gallery. We love to make you smile and are committed to your satisfaction. Our long list of satisfied customers is a testimony of our quality service and expertise in getting the results you want. We train our staff to make sure your experience is as pleasant as possible, from the moment you contact us and enter our clinic. From implants, teeth whitening and tooth colored fillings to dentures, crowns and bridges, we’ve helped many dental patients with many different needs. We’re looking forward to helping you with your dental needs as well. For pictures of case studies, see our Dental Image Gallery. Our team is extremely proud of our brand new dental clinic. At Lansdowne location only 10min away from Blundell at Richmond has been designed to create a calm and relaxing environment for our patients. We want you to enjoy a pleasant experience during every visit, from the very moment you enter our reception area that has been carefully decorated in soothing colors. Our treatment rooms are equipped with state-of-the-art technology which allows us to quickly and accurately diagnose any problems, providing you with a smoother and more comfortable treatment experience. Our dental laser can treat soft and hard tissues and is used during periodontal therapy for gum problems or while preparing teeth for fillings. Laser dentistry is a much more comfortable way to receive treatment as healing is faster with fewer side-effects. All materials and components used in our dental treatments are of the very highest quality, so you get remarkable results that will last longer. Although we believe in using the very latest technology, we never lose sight of the person in the dental chair and we treat our patients like family. Your appointments will never be rushed and we always have the time to talk to you, to discuss your dental health or to explain possible treatments. We firmly believe in putting our clients first, from the moment you contact our clinic to the completion of treatment. Our dedication to providing excellent customer service is reflected in our many positive Richmond dentist reviews and in testimonials from satisfied clients. When you first visit our location 10 min away from Ironwood and Stevenson in Richmond, BC, you will quickly discover that we are all passionate about preventative dental care. Our priority is to help your natural teeth last longer and we hope for life. We work hard to preserve natural teeth and tooth removals are always the last resort. Your path to excellent dental health begins with a comprehensive check-up, after which you will receive your personalized preventative dental care plan. This will show how frequently you should visit a dentist for a dental check-up, and how often you should see a hygienist. It will also detail any other preventative treatments we feel will help you, for example fluoride treatments. If you do require treatment to restore dental health, our dentist will talk you through each option, including the costs and how it will help your dental health. It is important to us that you understand your treatment so questions are encouraged. Regular hygiene appointments are strongly recommended as this is an easy way to maintain strong and healthy teeth and gums and beautifully fresh breath. Our hygiene team is great at patient education, so if you would like advice on how to brush or floss more effectively then please just ask. A good preventative dental care routine will help avoid many common dental diseases. It will reduce your risk of suffering from a toothache and your risk of developing periodontal disease (gum disease), a common problem that can cause tooth loss. Clinic @ Lansdowne have a wonderful choice of cosmetic dental treatments. We can help you, whether you just wish to boost the appearance of your teeth or are looking for a complete transformation. The process begins with a detailed dental consultation during which our dentists will examine your mouth before discussing suitable treatments. By the end of this visit, you will have learned how cosmetic dentistry could help you, the time required and the costs. Our dentists use a careful blend of artistry and advanced cosmetic dental techniques when creating new smiles. Every restoration is individually designed to compliment and enhance your appearance, taking into account your gender and facial features. Your customized treatment plan will be fully tailored to meet or exceed your desires. Possible treatments include tooth colored fillings, veneers, crowns and bridges, and teeth whitening and Zoom whitening. Some of these treatments, for example fillings and crowns, will also help to protect your teeth. Often, we can rejuvenate the appearance of your smile within a very short while. 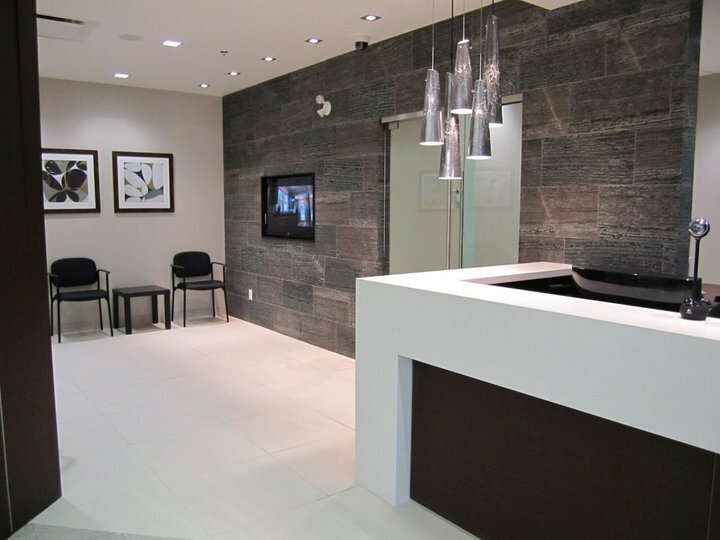 Our dental clinic in Richmond, BC is equipped with CEREC which utilizes advanced CAD/CAM technology to craft beautiful crowns and veneers while you wait. Zoom teeth whitening will brighten your teeth in just a single comfortable visit. Other treatments such as Invisalign and will take a little longer but can produce results that will last for life. We can provide just about all the treatments you and your family are likely to need so you have the confidence of receiving dental care from a team you know and trust to look after you. Our satisfied patients have left numerous glowing Richmond BC dentist reviews and our team are continually updating our skills so we can always provide you with truly excellent dental care. To discover the high-quality dental care you deserve, call us today on 604-270-0886, or book your appointment online.